Can you believe that Christmas is only a month away? It’s by far my favorite holiday, just the joy, the season, the songs and the décor all make my heart overflow with holiday happiness. I have already started listening to “Holiday Traditions” on SiriusXM radio in the car, and I am fairly certain I sing along to every song! I haven’t put up my tree yet, but that’s only because I am hosting Thanksgiving this year with some of my dear friends, and I want it to look like Thanksgiving. 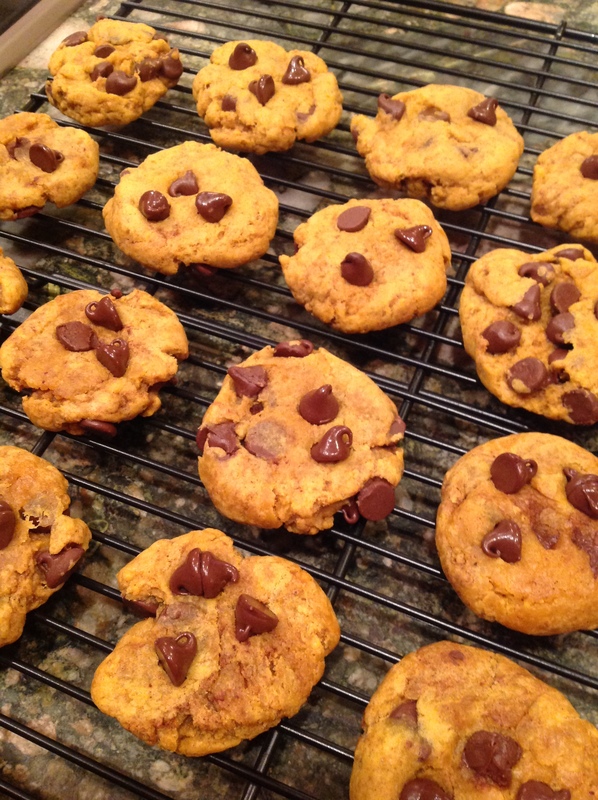 The day after – well there are no guarantees! 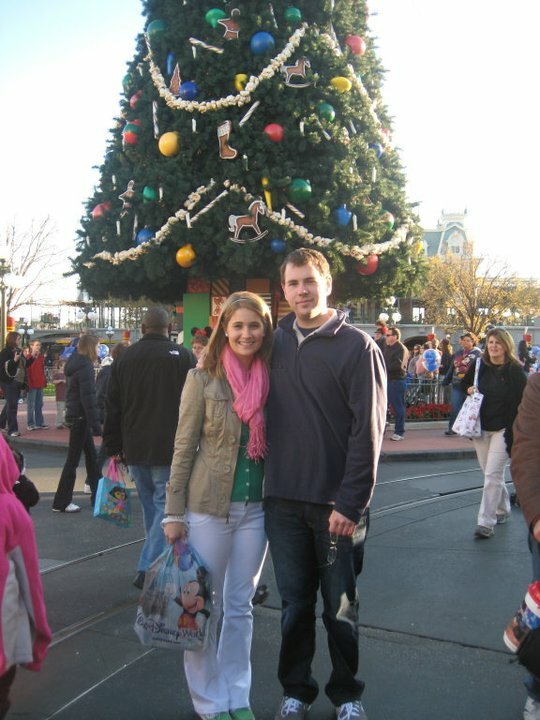 Reminiscing from my first Disney Christmas experience! 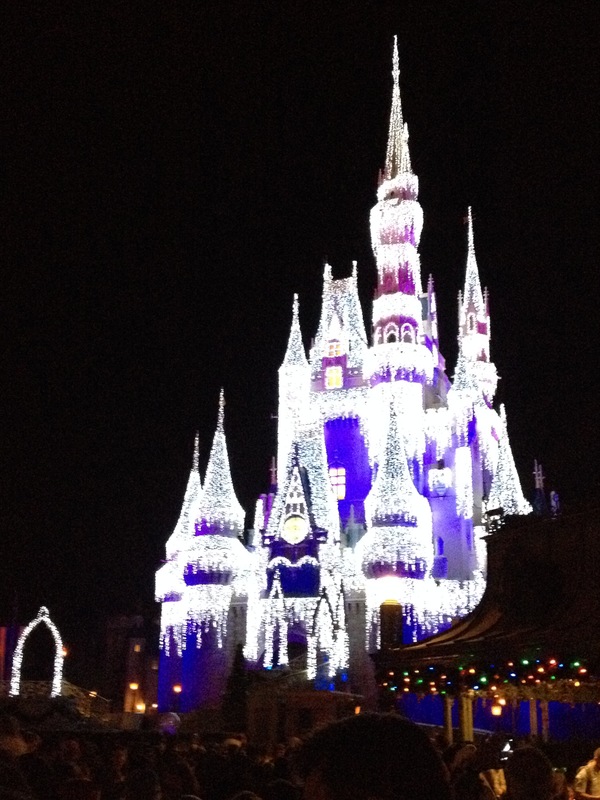 However, for one of the most magical Christmas experiences you’ll ever have, Disney is the place to be. I was blessed to be able to spend a wonderful weekend in Disney World with our friends Mr. and Mrs. BakeNBurn, and part of the Disney magic included Mickey’s Very Merry Christmas party! I don’t know if you’ve ever been to Disney World just before and directly after Halloween, but it’s a phenomenal transformation! One day it’s Halloween, the next it’s a winter wonderland – MAGIC! 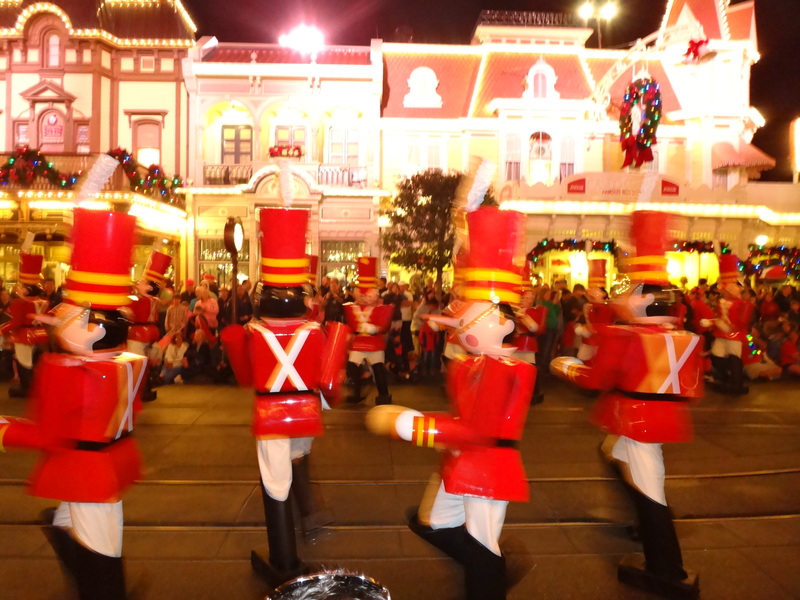 So I am finally getting around to talking about our wonderful holiday-filled extravaganza in the Magic Kingdom… I know, for shame. 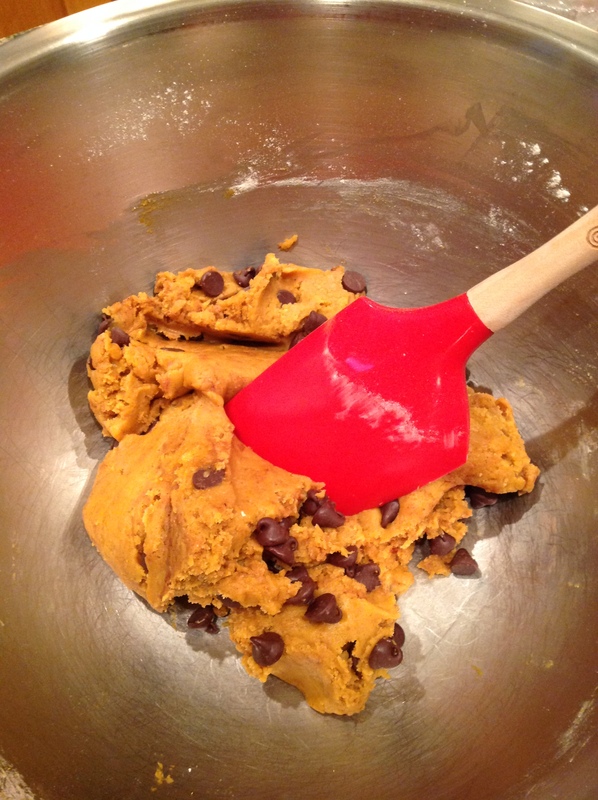 But it’s never too late to reminisce about the holidays. Friday morning, after the chaos of the Disney Wine and Dine Expo, we made our way merrily to the Magic Kingdom. This day was all about fitting it ALL in, and boy did we. Ears in tow and ready to go! Given that Samantha and I are no strangers to Disney World, we made our way quickly through the gates just around 1:20pm, and worked our way back towards New Fantasy Land. If you haven’t been to Disney since the addition of New Fantasy Land, it’s worth a revisit. They’ve extended the park to include the Be Our Guest dining experience at the Beast’s castle, the Under the Seas journey of Ariel, the Little Mermaid (along with Ariel’s grotto of course), the Seven Dwarves Mine Ride, and a plethora of other experiences. One of my favorite additions is Rapunzel’s tower! 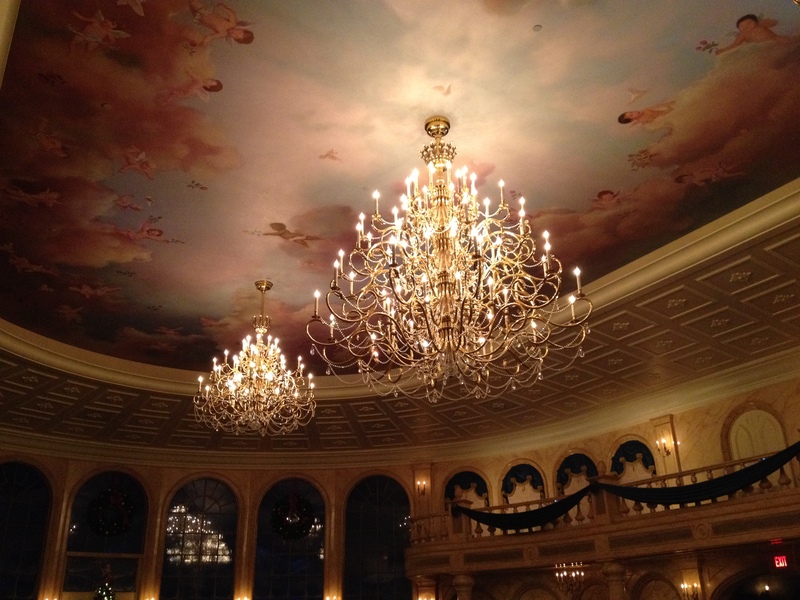 It’s all so charming and a constant reminder of Disney’s attention to detail. major in me, and since last February when I was there for the Disney Princess Half Marathon, I have been dying to dine at Be Our Guest. We were so lucky to snag reservations, and made our way through the line, flanked by talking (and snoring) empty armor. Once you confirm the meal you would like (in advance) and approve payment, you make your way into the most spectacular ballroom turned eatery ever seen. It’s quite truly like walking directly into the movie, complete with the West Wing (on the west side of the building) with enchanted rose and torn painting, and snow falling gently on the evening balcony scene beyond the main room. Unbelievably incredible. It is completely like the movie – who is ready to be the Belle of the ball? 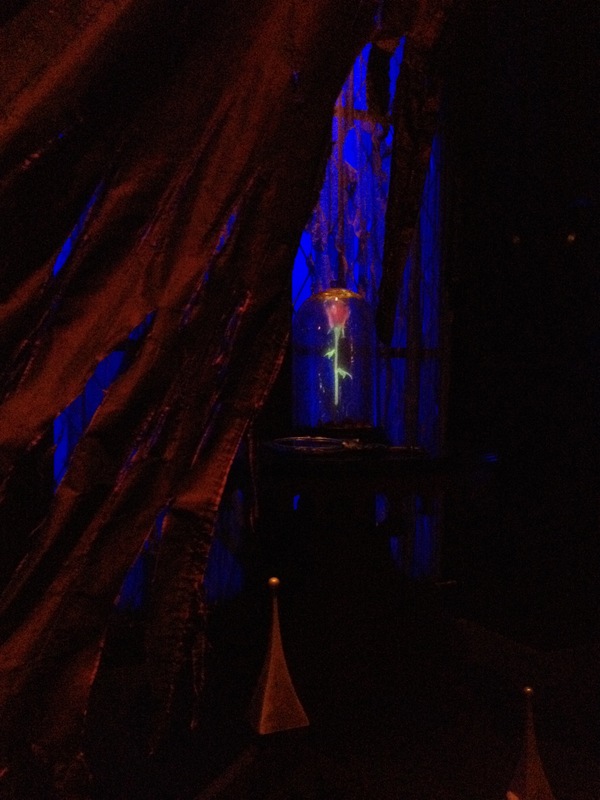 Talk about Disney magic… the enchanted rose! 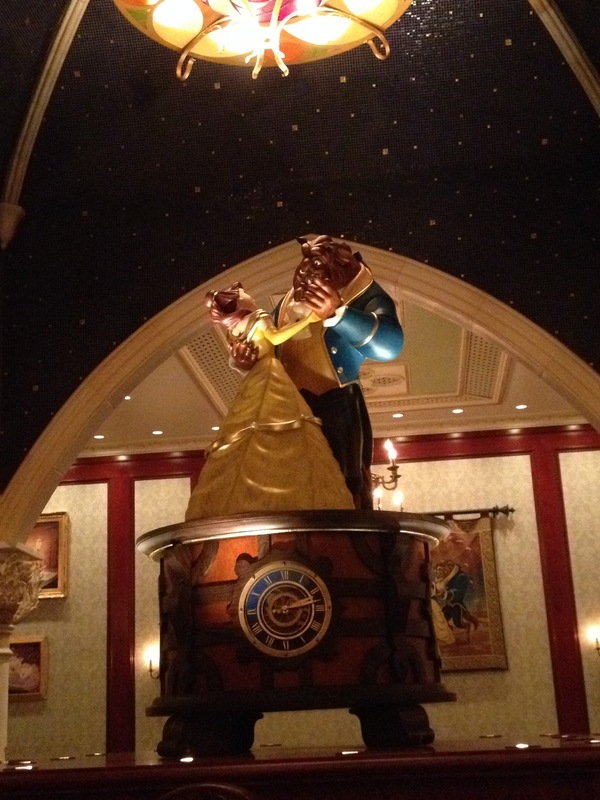 Dancing Belle and Beast, tres magnifique! We found some seats and awaited our meals. Cast members pushed elaborate carts around the room with meals in tow. 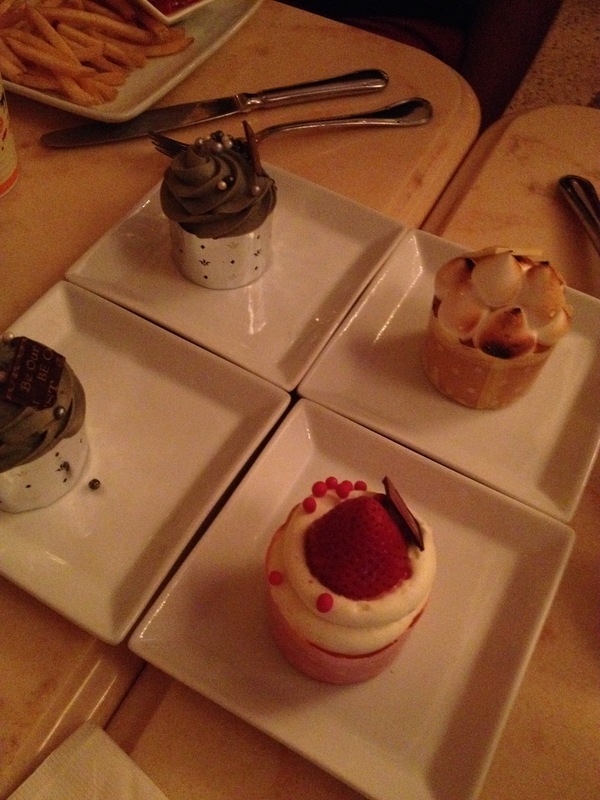 Like magic, our meals appeared, complete with delectable desserts (the men both got the Master’s cupcake, with gray icing [“Try the gray stuff, it’s delicious!”]), while Samantha had a lemon merengue and I had a delicious strawberry cream cheese cupcake. I had ordered the hubs a croquet monsieur and I annihilated the braised pork. It was a fantastic meal, and all I could think was that doing Disney as an adult may be even more fun than as a child… there, I said it. The winning score, by Mr. RockyMtnPearls! A personalities we are, Samantha and I had set up everything in advance, coordinating as much as possible. 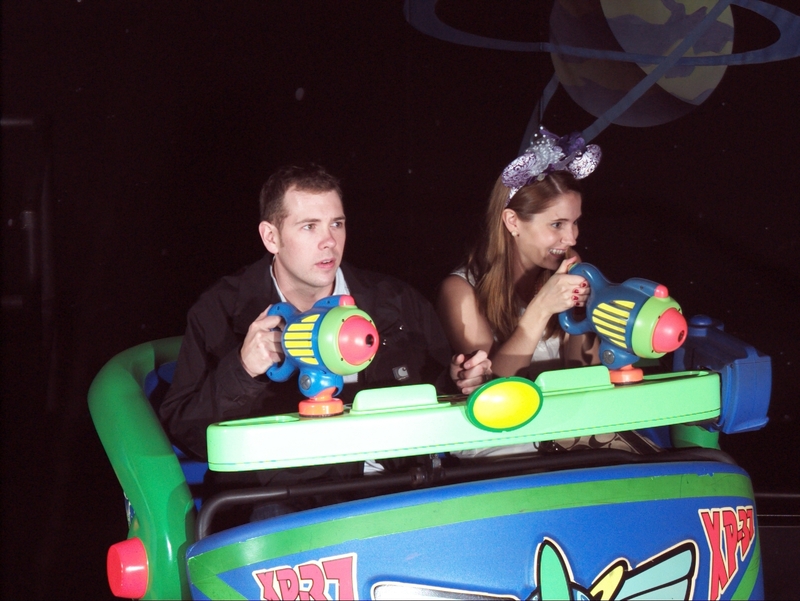 We dashed over to Tomorrow Land for our first ride of the day, the fantastic Buzz Lightyear’s Space Ranger Spin. 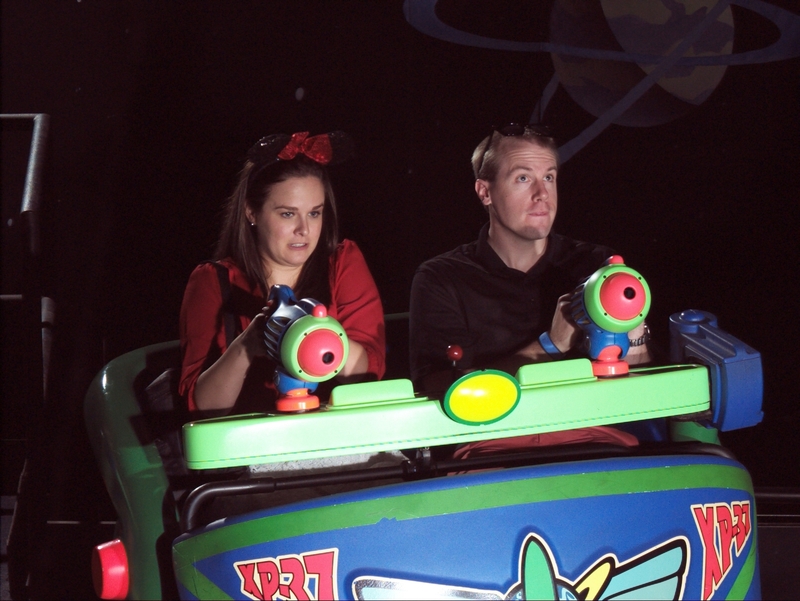 Imagine sitting in a rotating bench with a toy gun shooting lasers at Emporer Zurg and his army, with the added effect of “Pew Pew Pew” noises for each shot. Ah-mazing. 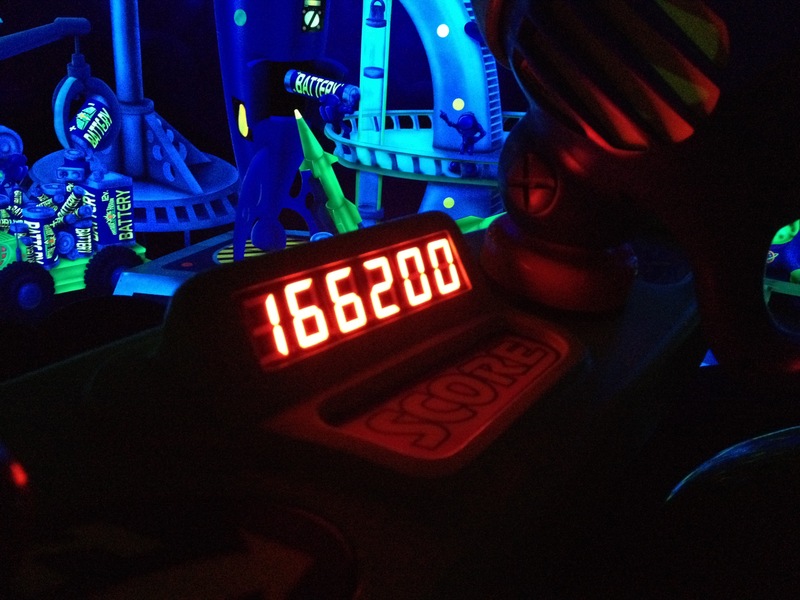 You get points based on the number of “Z’s” you shoot, and my hubby was the group’s victor. It was epic. Our adorable group and the obligatory castle shot! 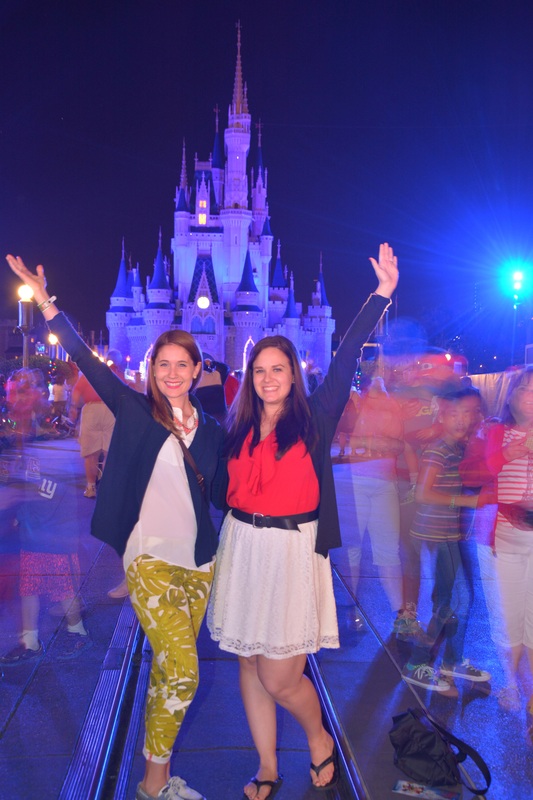 Following our Space Ranger expedition, we found the necessary photo stop and got some great photos with the castle. One of the many parades were about to start, so we jetted across the circle in front of the castle and made our way to Jungle Cruise. Now this ride is hit or miss and it’s all about the skipper and their ability to deliver a good joke. Ours was a little wanting but had some excellent morose one-liners that made up for it. And this time of year, it transforms into the Jingle Cruise, so who doesn’t love a good Christmas themed joke? Mountain (amazing!) 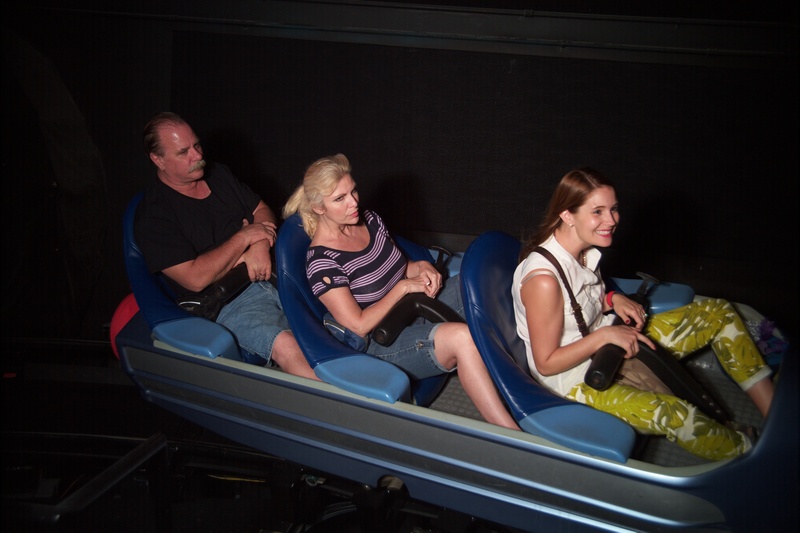 and Samantha and her hubby went to the Voyage of the Little Mermaid. We met back up for Lefou’s Brew in Gaston’s Tavern, followed by Pirates of the Caribbean for us and It’s a Small World for them. We met up again at the end, and managed to fit in The Haunted Mansion and Thunder Mountain before heading to a delicious dinner at Liberty Tree Tavern. If you haven’t been there, I highly recommend it. This restaurant basically boasts Thanksgiving dinner all year long! It definitely makes ordering easy, and the spread is delicious. Once we finished dinner we emerged into what had become Mickey’s Very Merry Christmas Party! 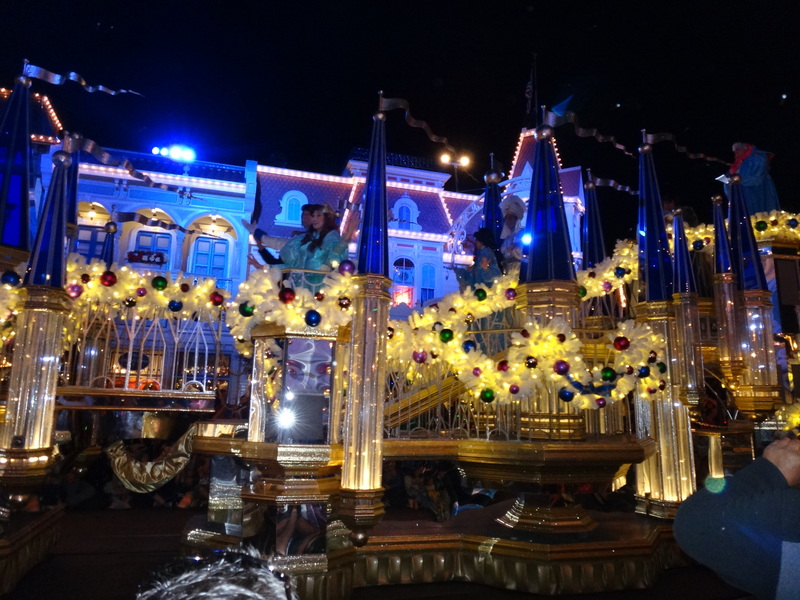 This event required tickets, which we had purchased far in advance, and allowed us to stay in the park beyond the normal hours, surrounded by Christmas music, magical parades, and one of the best fireworks shows I have ever seen! It also meant that rides were much easier to get on, and the one ride we had in mind was the brand new Seven Dwarves Mine Train ride – so fun! 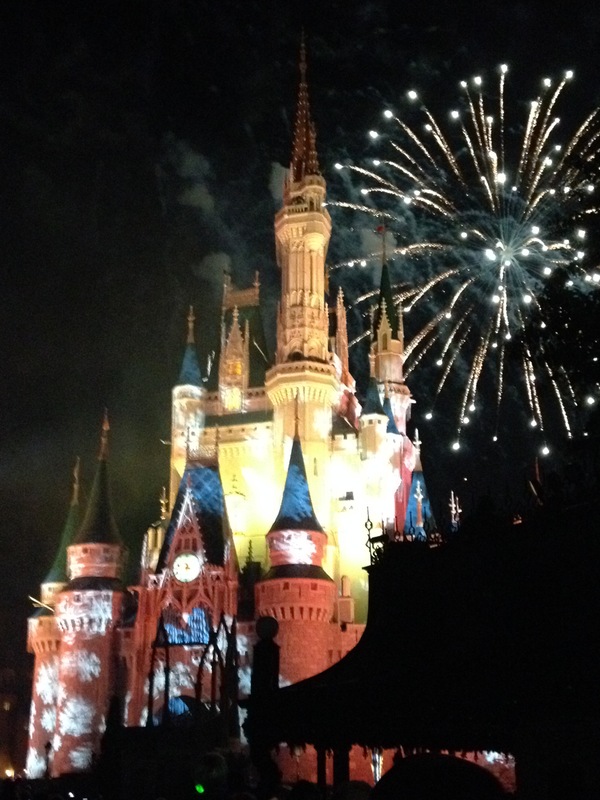 Fireworks were about to start, so we made our way around the front of the castle to get a good view. Disney has daily fireworks shows, so if anyone puts on a good display, it’s them. Their Magic Kingdom Christmas fireworks show is no exception. The coordination of music, lighting, fireworks, and of course, Tinkerbell, make the entire spectacle beautifully memorable. 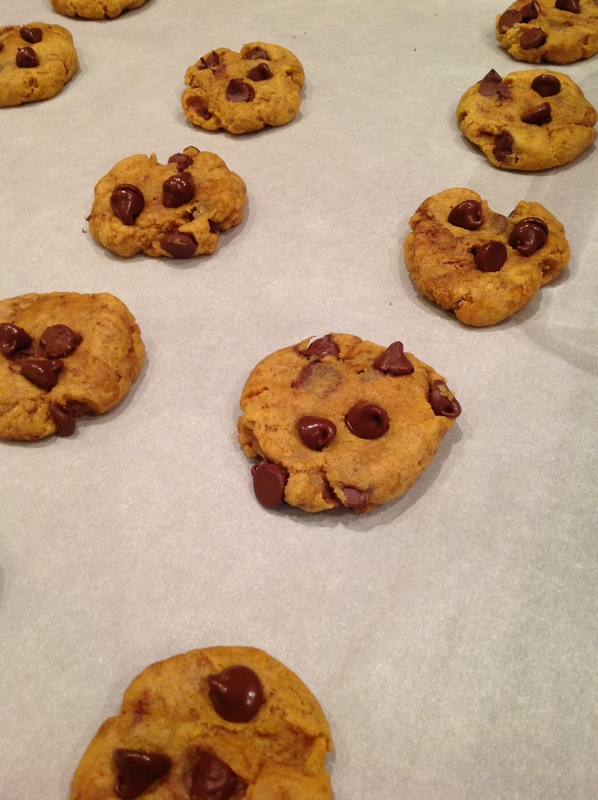 See this fabulous video courtesy of Ms. BakeNBurn! A Frozen castle in time for the season. The phenomenal final about to begin! One of the perks of staying for the Christmas party was the stations throughout the park with free hot cocoa and sugar cookies. In case we hadn’t had enough food that day, we headed to the Crystal Palace for our holiday snack, munched away, and then found an ideal viewing spot along Main Street USA for the Christmas Parade. Basically the parade turned into the Frozen and holiday parade, but I was all about it. 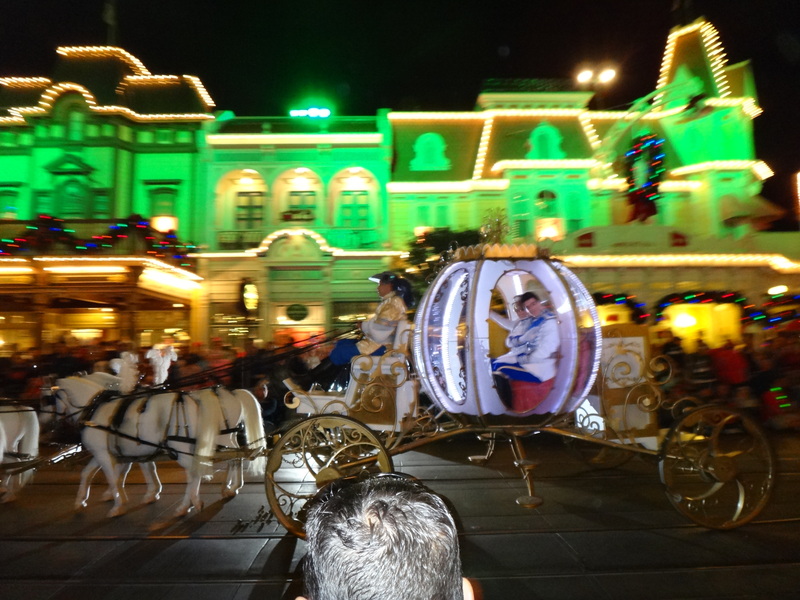 This being my second time in Disney around Christmas, I was pleased to see they had altered the parade slightly. The best part? It was snowing on Main Street! After the parade concluded, we headed back to the resort (and thankfully made it on the first bus there) and crashed for the night. We ended the evening very excited knowing the next day was race day! The tin soldiers were my favorite! An actual marching band playing their trumpets through the hole in the mask! 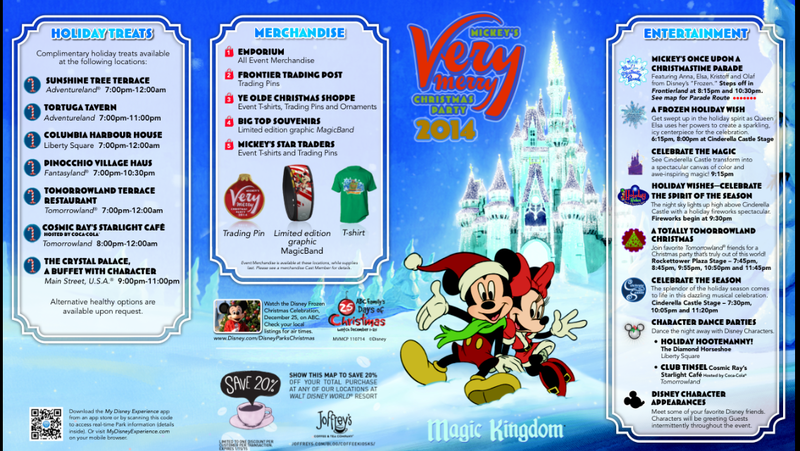 Have you ever experienced a Disney Christmas? 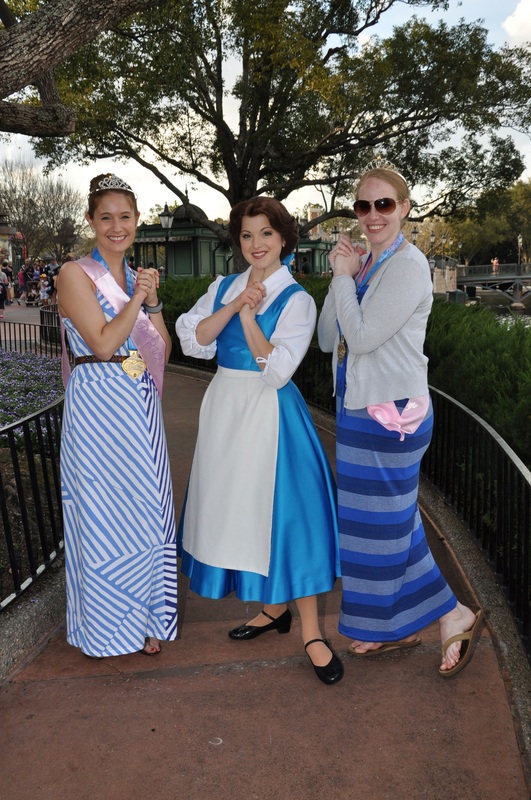 What are your favorite attractions in the Magic Kingdom? 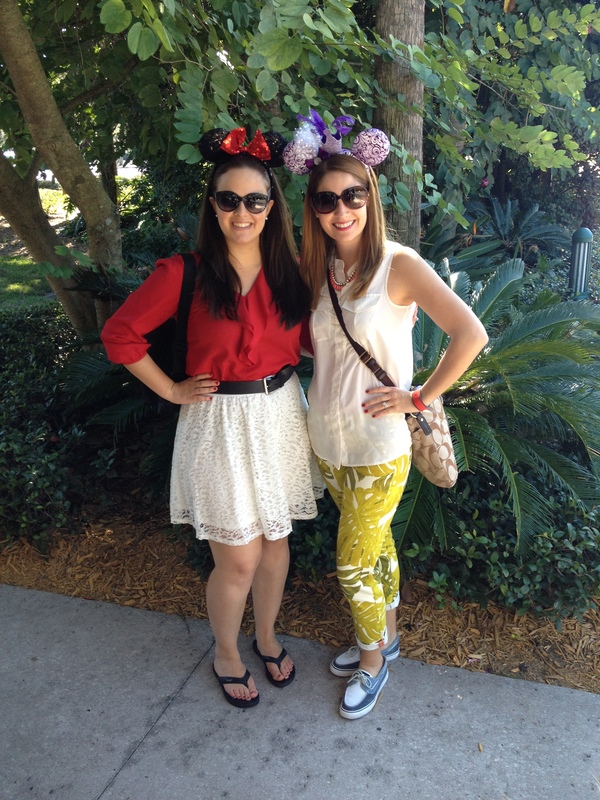 Can you ever be too old to wear Mickey Mouse ears and spend a day playing in Disney? Behold: The Wide World of Sports! blast! Soggy, but definitely enjoyable! 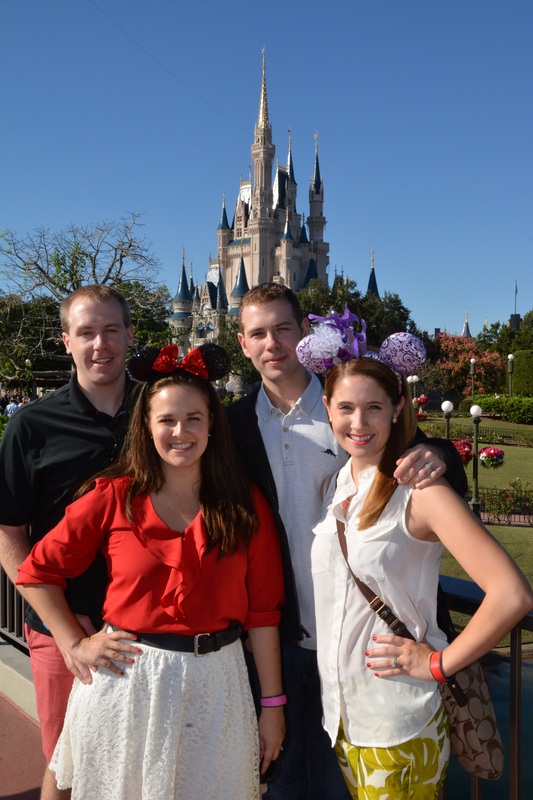 Last Friday the hubs and I met up with Ms. BakeNBurn and her hubby to begin a whirlwind weekend in Disney World. 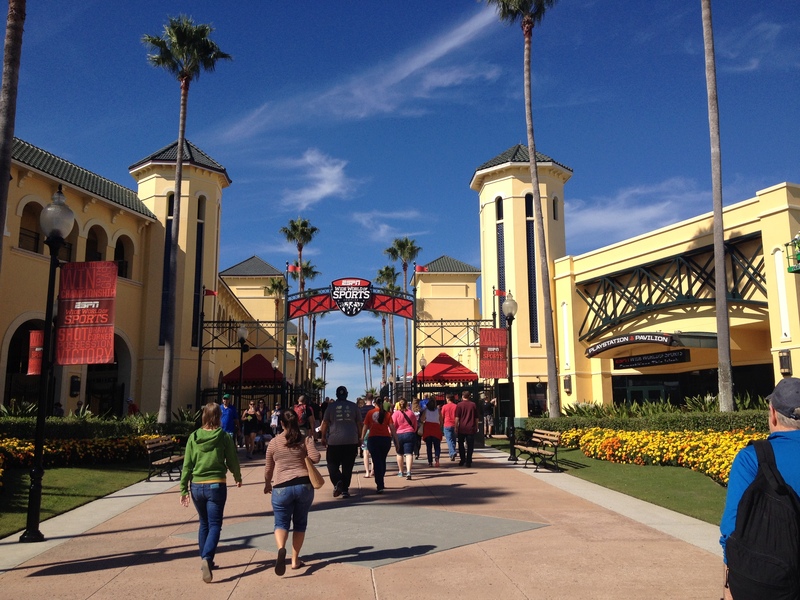 Our first stop on this wondrous weekend was the Wine and Dine Half Marathon Expo at the ESPN Wide World of Sports facility within Disney World. We were staying at the Caribbean Beach resort, so after a most delicious breakfast of a Mickey Mouse waffle, sausage and fruit, we boarded the bus to the Expo. We were very close to the ESPN complex, so after a short ride we hopped off the bus into the craziness that was about to ensue. 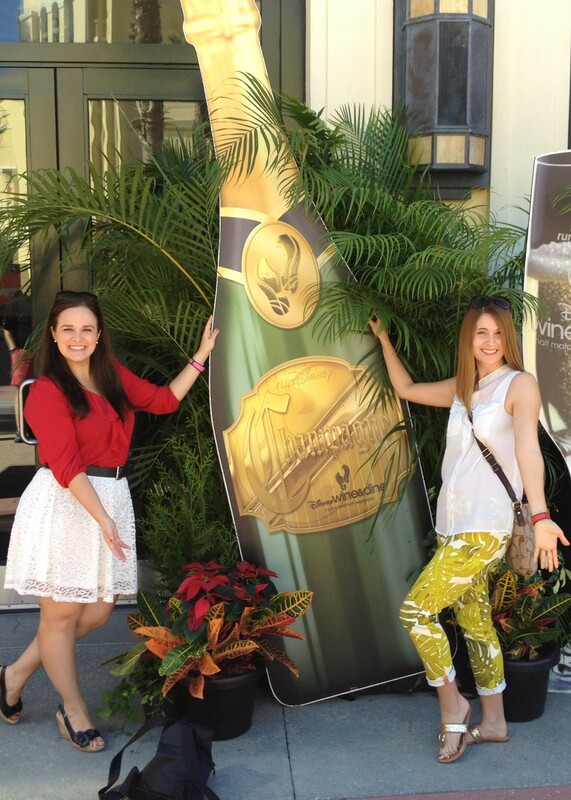 Step 1: take a photo with the giant cardboard champagne bottles. I am a Champagne fiend, thus my hubby’s Easter egg hunt for me over the past two years was actually a hunt for mini bottles of champagne. Brilliant! I wish this were real… don’t you love my tropical pants? Step 2: enter the disorganization that is packet pick-up. All four of us were in different number groupings, so we each headed to different lines to pick up our bibs and packets. Samantha’s hubby was in Corral B, so he was in one of the first few lines. My hubs and I were both in G, but separated between the 4,000’s and 5,000’s. My line, which I could have sworn was a mistake, was three people long. The hubs and Samantha, however, were in lines that extended into eternity. Something seemed quite awry. I waited for about 5 minutes and acquired my bib, race brochure, $10 Disney gift card (which would be a life saver later…), and adorable cork coaster. 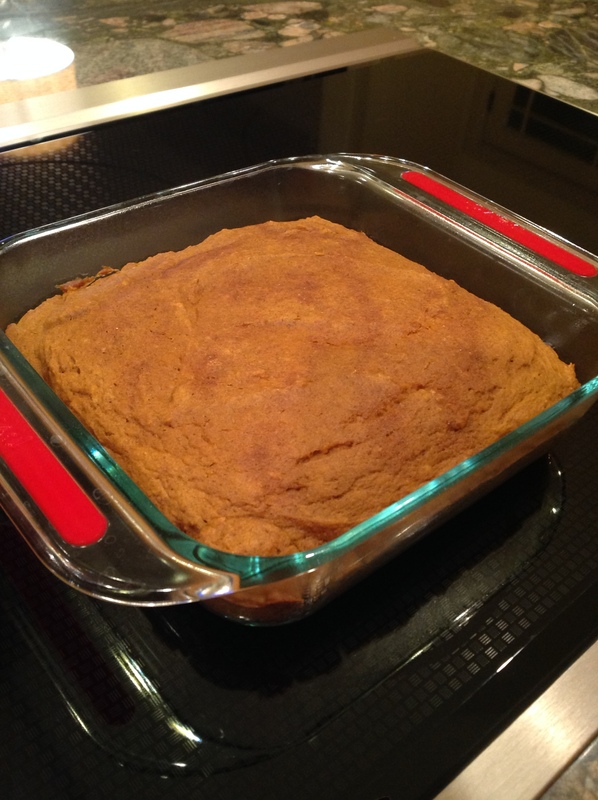 Step 3: be prepared to wait, but don’t like it. I departed the pick-up stands and went to find the hubs, still quite a ways back in line. I waited with his for about 15 minutes until I looked back and saw that Samantha had not moved an inch since joining her endless line. I wandered over and we devised a brilliant plan. 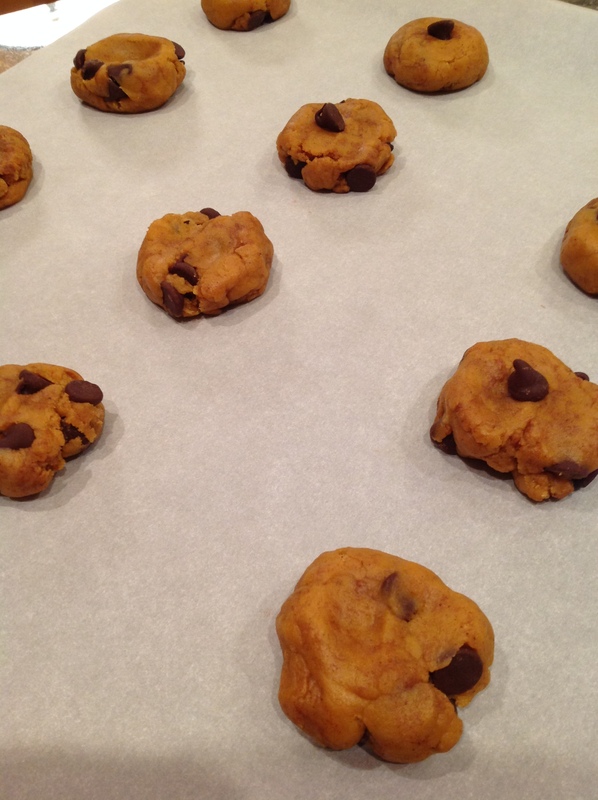 Step 4: find ways to avoid standing in lines. The lines for our hubbies moved much faster than hers, so once they had their packets in hand, they held the line so we could multi-task and look at the merchandise section. Lines, lines and more lines! we want. 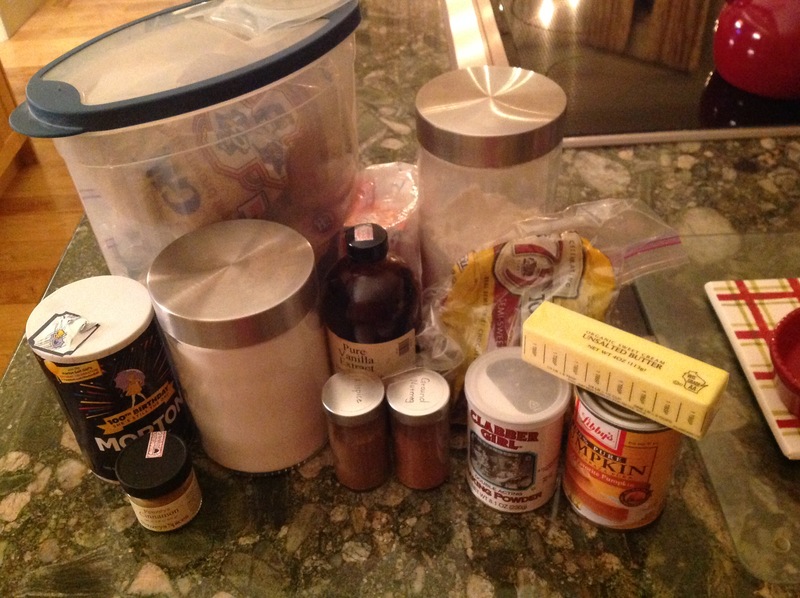 We do our research up front and waste no time in deciding on the products we want for purchase. I found the adorable lavender colored hoodie and a Wine and Dine 13.1 car magnet (of course in the shape of Mickey Mouse’s head), and Samantha picked up 2 different Wine and Dine running headbands, the same magnet, and a black half zip with “Eat, Drink, Run” in yellow text on the back – tres adorable. 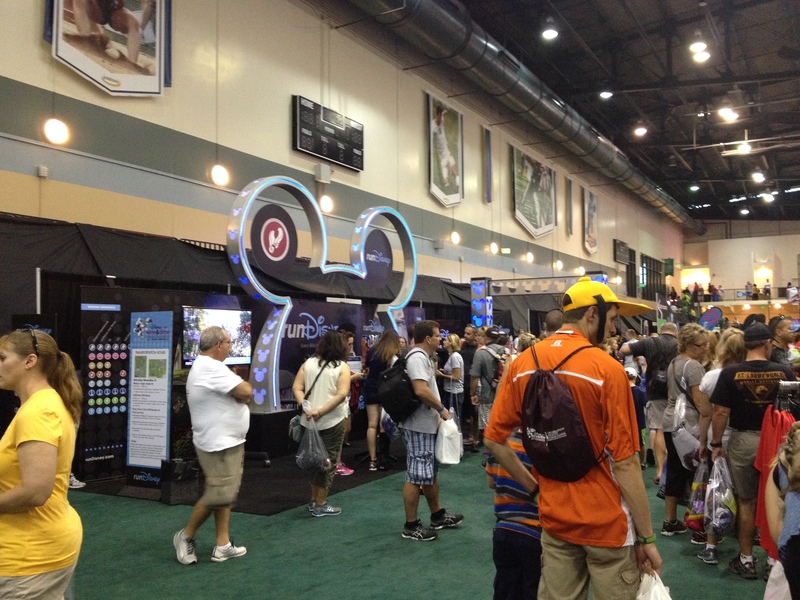 Run Disney puts on an Expo unlike anything I have ever seen! and knee brace items for the hubs, and Samantha and I purchased some very cute SparkleAthletic visors. 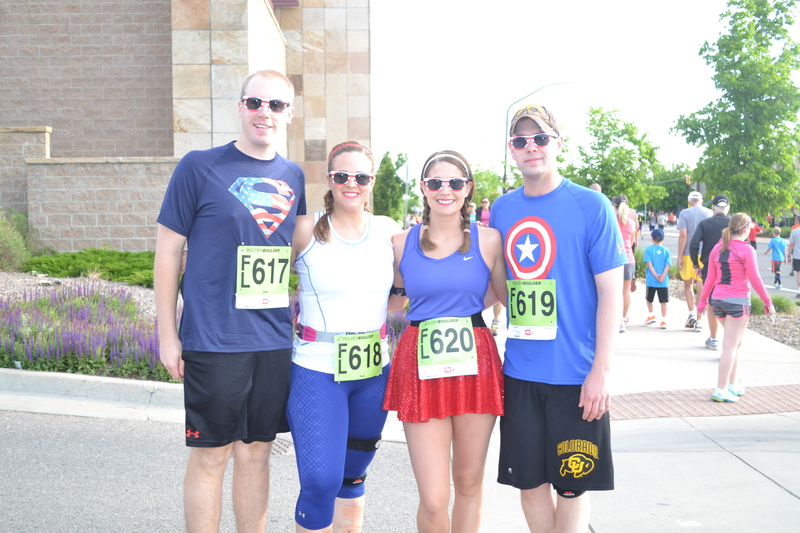 The forecast was rather foreboding for race time… and rain was definitely in our futures. This way our race “makeup” (I had big plans in mind) wouldn’t smear off our faces while we ran. And no one wants rain in the eyes when you have 13.1 miles to go! The Expo was one of my favorite parts of the Disney Princess Half Marathon, so Samantha and I were bummed we couldn’t spend as much time (or money) as we had intended, but I am sure our wallets were happier for it… as were our hubbies. We made it out alive and managed to get the items we wanted and needed. All in all, it was a successful, and mildly hectic morning. We got back to the hotel, dropped off our loot, and rushed back to the bus stop to make our way to the Magic Kingdom! What a great looking group! Mr. & Mrs. BakeNBurn are on the left and the hubs and I are on the right. 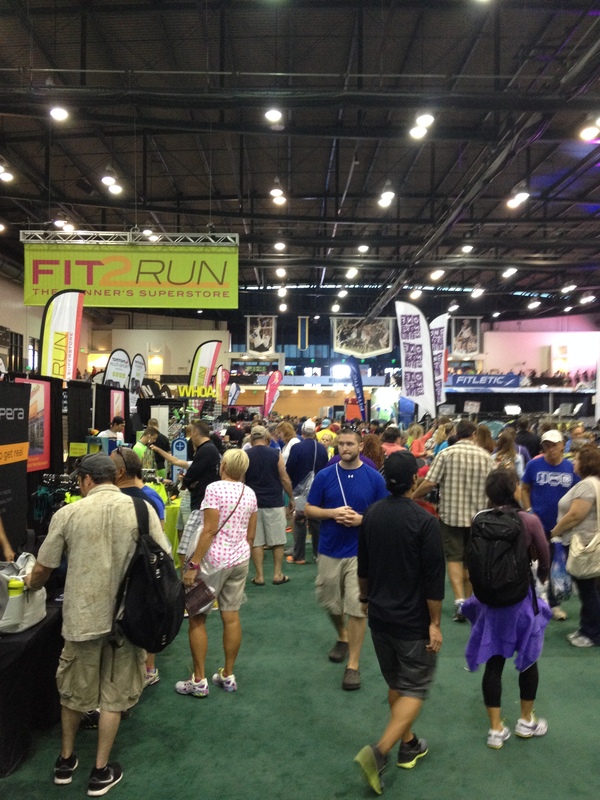 Have you participated in any Run Disney races – what do you think about the enormity of the Expo? Does anyone else pick out the merchandise they want before the Expo? Don’t you just love our fabulous mouse ears?